When it comes to pest control, Fountain Hills, Scottsdale and East Valley residents are faced with a variety of different residential pest control issues that many others may never have to deal with. Cummings Termite & Pest Control is well aware of this, and we’ve tailored our business to meet your unique needs. Whether it’s commercial or residential, we’ll ensure that your problem doesn’t come back to bite you. Our homes are our biggest investment, and it’s important not to let anything damage them. When it comes to termite control, Mesa residents need to act on this problem as soon as possible. Our technicians assure a speedy response and can advise you on what the best control method is for your particular situation. 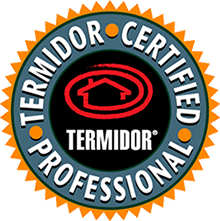 In addition, our rodent control Mesa services will ensure none of these tiny desert-dwellers do damage to your home. Business owners have a lot of things on their plates. When it comes to pest control, the safety of both your employees and your customers comes into play. In regards to bee removal, Mesa business owners need the problem taken care of with a guarantee it’s been eliminated permanently. From offices to restaurants to industrial situations, we can handle it all. When it comes to unique problems like scorpion control, Mesa residents and business owners can feel confident about choosing Cummings. No matter how severe the problem has gotten, or if you’re just doing some preliminary prevention, we’re always ready to help you achieve your pest control goals. To learn more, call us today at 480-994-9599.